One of the most sought-after songwriters in the business, Priscilla Renea now offers her own solo project, Coloured. Growing up in Vero Beach, Florida, music has always been a mainstay in Renea’s life. As explained in an interview with Rolling Stone, her mother and grandmother loved to sing and her father played the trumpet. After writing her first song at the age of eight, Renea’s mother gave her a note book to write in and eventually she received a guitar from her father and taught herself to play. By the age of 16, Renea became a YouTube sensation, setting her on a path to become one of today’s greatest writers with songs you know and love such as “Timber,” by Kesha and Pit Bull, Charlie Puth’s “River”, and “California King Bed” performed by Rhianna. With Renea’s own album Coloured, we get to truly hear her voice as she tells her own story. Coloured begins with the song, “Family Tree.” Opening up with a guitar progression that is just so stereotypically country it sounds like you could be listening to a Dolly Parton album, Renea enters and quickly shows her versatility as vocalist. Though she maintains a country “twang” throughout, it doesn’t take long for her to knock you back with her robustly gritty voice, showcasing vocal prowess and control reminiscent of powerhouses like Etta James. 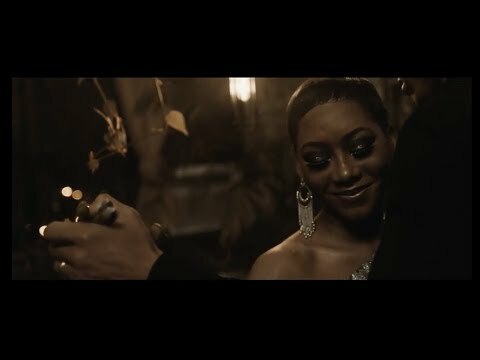 With songs like “You Shaped Box,” “If I Ever Loved You,” and “Different Color,” Renea incorporates a reggae feel, blurring the line between genres as she tells stories of love, not only love of family or a significant other, but love of oneself. 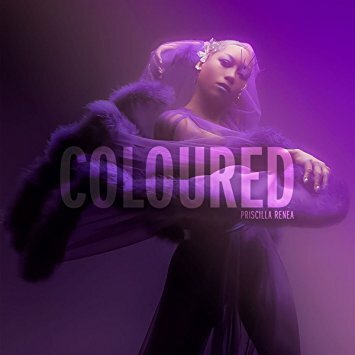 Having made such a name for herself as a songwriter, Priscilla Renea is clearly just gearing up to shock the world with her own vocal talents, and Coloured is only the beginning. 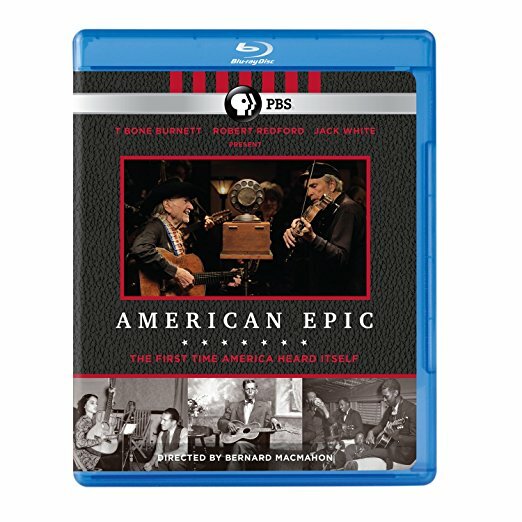 First broadcast as a 3-part, 3.5-hour documentary on PBS, “American Epic” explores the beginning of regional commercial recording in the U.S. The program’s premise and logo is these early recording field trips resulted in “the first time American heard itself,” a somewhat grandiose claim. Along with the TV mini-series, Sony released a 100 song, 5-CD box set of newly-transferred/newly-restored vintage recordings, organized by recording locations, plus a single-CD soundtrack album, covering only recordings used in the TV programs. And, taking advantage of a fully-restored vintage recording system, the films’ producers teamed up with producer T. Bone Burnett and musician/producer/entrepreneur Jack White to stage a series of recording sessions in a Los Angeles studio with performances by a wide assortment of contemporary musicians. 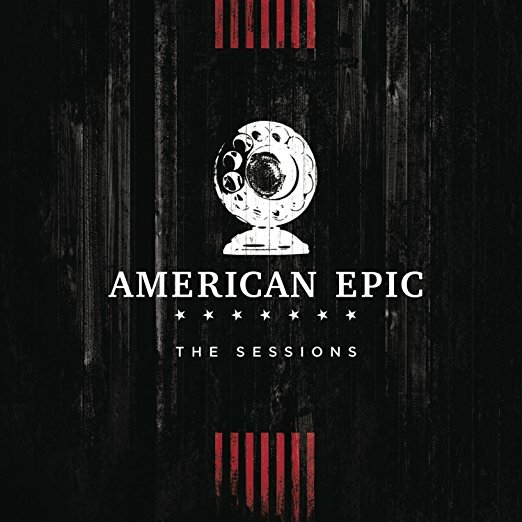 Those recordings, transferred from the lacquer discs on which they were inscribed, are collected in “The American Epic Sessions” 2CD set. A two-hour documentary, covering some of these recording sessions and detailing the vintage recording equipment, was also broadcast on PBS. In 1926, Western Electric developed an electrical recording system, which quickly replaced the acoustic (“screaming into a horn”) systems that had used sound-pressure energy to cut grooves into cylinders and discs up to that point. With Western Electric’s system, sound waves hitting a microphone created an electrical current, which was then amplified by a 6-foot rack of tube electronics, and used to drive an electro-magnetic cutting stylus, which cut grooves onto wax blanks. The system used in “The American Epic Sessions,” lovingly restored and expertly operated by engineer Nicholas Bergh, cuts onto lacquer discs. The key take-aways relevant to this project: the Western Electric recording system was portable, and at the time it was developed, radio was killing the commercial record business. During the acoustic era, record companies had concentrated on urban-centric popular “dance band” music and formal classical recordings. But the U.S. was a regional and tribal country at the time, and local music genres and styles remained local. Desperate for new record-buying customers, the record companies sent electrical recording systems and crews out into the land, searching for new musicians and musical styles in hopes of “the next big thing” that radio didn’t offer. A typical recording trip would include a blitz of advertising in local newspapers and word-of-mouth announcements at general stores and post offices, offering local musicians a chance to make a record. The musicians would flock to a central location, such as a disused hat factory in Memphis or a hotel in San Antonio, for recording sessions. Through this process, the genres of country/hillbilly, Delta blues, Tejano, and Hawaiian music gained national distribution and influence. Some big stars emerged, like country music legends The Carter Family and Jimmie Rodgers and Tejano pioneer Lydia Mendoza. Many other recordings, by artists such as Dock Boggs, Willie Brown and especially Robert Johnson, didn’t sell well in their day but were incredibly influential on later musicians and musical genres. Other artists such as Charley Patton, the Memphis Jug Band, and even Hopi Indian Chanters, enjoyed regional success and years of fruitful recording sessions. 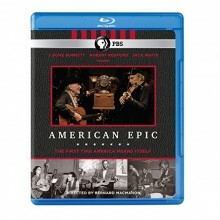 The “American Epic” documentary and the 5-CD set concentrate the regional styles and genres. The documentary is divided into 3 parts, with each focusing on a handful of artists and songs. Herculean efforts were made to track down descendants or first-person associates of the original artists, and their stories bring life to the people behind the old records. The filmmakers concentrated on the music, and avoided the dull academic tone that slows down too many PBS programs. There is a nerdy hip-ness to the whole project, and the technical details of the early recording process are explained enough for a casual music-oriented viewer to understand by not descending too far in the weeds. Above all, these stories tie together music, people and places. Recording location rather than music type or artist divides the 5-CD set. This makes for more interesting listening, because each of the CDs is its own “mix tape” of genres and artists, alike only in that they were recorded in a particular region of the U.S., and even then not in a single location or studio. That said, the sequencing choice makes more difficult comparisons of artists within a single genre. Engineer Nicholas Bergh, using a system he developed based on his understanding of the original recording process, transferred all of the recordings used in the CD box. A quick comparison of previous reissues of a handful of tunes indicates that Bergh was able to squeeze more fidelity and musical content from the discs, varying from a shade better to much better. It’s worth noting that there is a good bit of overlap between the “American Epic” box set and the classic “Anthology of American Folk Music,” so one can compare the transfer technology and aesthetic evolution over the past 50+ years. There is also some overlap with various Yazoo collections, not surprising since Yazoo owner Richard Nevins contributed rare records from his collections and is thanked in the liner notes. For a person interested in the true roots of what today is called “roots” music, as well as the original Delta style of blues, and the history of what became country music, this set is invaluable. 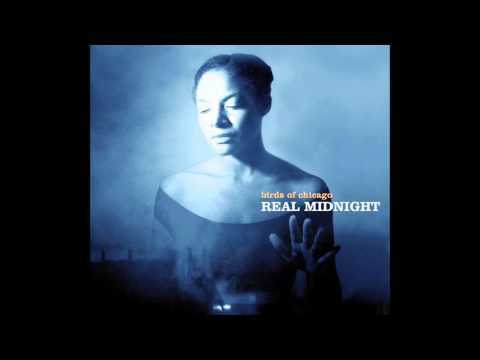 In some cases, this is the first opportunity to clearly hear the musical subtleties and even decipher the lyrics, since the day the discs were cut. 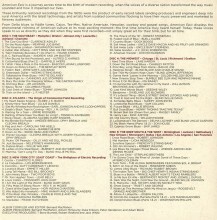 The amply illustrated booklet includes printed lyrics and as close to a first-person description of each artist as the producers were able to find. 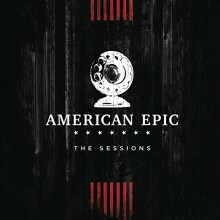 “The American Epic Sessions” is a bit more of a creative-license undertaking. The documentary producers were clearly enamored with Bergh’s restored recording system, so the logical thing to do, with music-industry bigwigs like Burnett and White involved and a documentary crew in tow, was bring some modern musicians in and cut some 78s. The results are mixed, musically, and the listener must accept the somewhat low-fidelity sound quality captured in the lacquers, but the exercise was net-net successful. I recommend the video documentary over the 2CD music-only set, because it’s interesting to watch modern musicians, accustomed as they are to endless re-takes and overdubs, adjust to the antique one-mic/one-take recording process. Suffice to say, some adapt better than others, but all were able to wax a successful side or two. 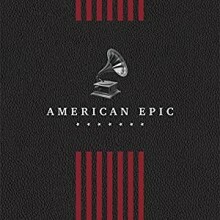 Overall, the “American Epic” project was an important undertaking, introducing some seminal music to a new audience in a sound quality not heard before, and bringing life to the musical and recording pioneers who first spread the American musical vernaculars out of their local wellsprings. The “Sessions” video and audio aptly demonstrates the conditions and limitations of the early electrical recordings. 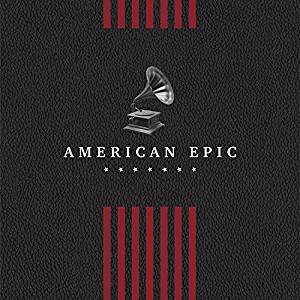 Editor’s note: There is also a separate hardcover book, American Epic: When Music Gave America Her Voice, written by series producer Allison McGourty and director Bernard MacMahon, with Elijah Wald (Touchstone, 288 pages). According to colleague Steve Ramm, there is little crossover in terms of illustrations and content between this book and the one accompanying the Sony box set. Please note that the book’s title is listed variously on other sites as American Epic: The First Time America Heard Itself and American Epic: Companion to the TV Series. Also, there have been hints from some quarters that a director’s cut of the PBS series will be issued on Blu-ray later this year, so you may wish to hold off on your purchase of the version covered here. For various compilations associated with the series (but NOT remastered) see our June 2017 Releases of Note. 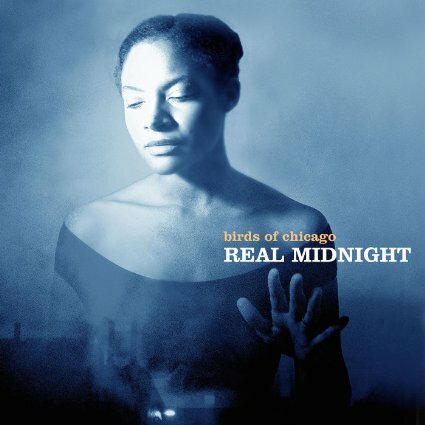 Birds of Chicago defines its style of music as rock and roll poetry or even as a kind of “secular gospel.” Led by vocalist Allison Russell and her husband, songwriter JT Nero, the group’s folk and country roots are readily apparent. Produced by Joe Henry (who has worked with Solomon Burke, Bettye Lavette, and Emmylou Harris), Birds of Chicago’s second album Real Midnight explores the transformative power of music and the inevitability of death. Though most the material is introspective, “Estrella Goodbye” is a fun, upbeat track with a harmonious chorus full of “na na na”s reminiscent of indie folk bands such as The Lumineers and Edward Sharpe and the Magnetic Zeros. Nero takes the lead in the verses with his bright vocals, and Rhiannon Giddens (of the Carolina Chocolate Drops) guest stars in the chorus. There is no dearth of Charley Pride collections in existence. Thus, the questions surrounding any new collection are: what is so special about this one? 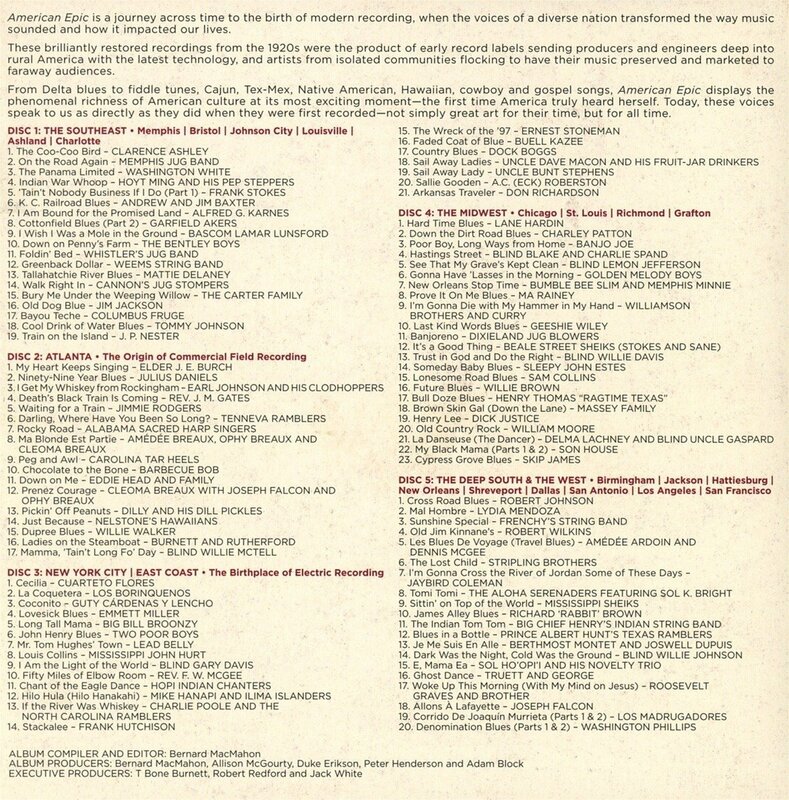 And how does it measure up to the leading standard, in this case BMG Heritage’s 2003 Anthology . The newly released Ultimate Hits Collection, a double-disc of 32 tracks of good quality reissues, but with limited notes, provides a good retrospective of Pride’s career without any major omissions, but the problems of this collection are deeper. The problem with reissuing Charley Pride is twofold– there are no new perspectives presented here, and the disc fails to cast Pride in a light that makes him seem relevant. Charley Pride was a major force to be sure. As a member of the Grand Ole Opry with 24 #1 Country hits, back to back winner of the CMA’s Entertainer of the Year (1971-1972), and Country Music Hall of Fame inductee, he doesn’t have to worry about his place in country music history. He does, however, need to worry about his place in country music today. Yet even if the packaging, liner notes, and general presentation fall short of something significant and new, a light shone on Charley Pride is always welcome. 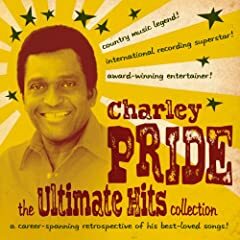 This double-disc collection includes all the hits that made Pride a household name, and further proves that he deserved every accolade garnered in his career, reminding us of just how good he was. The Ultimate Hits Collection reminds us of the huge appeal of hits like “Does My Ring Hurt Your Finger,” “Kiss an Angel Good Morning,” and “I Know One.” His powerful baritone against back-up singers, steel guitars, and string arrangements, creates a nostalgic appreciation of the trajectory of the mainstream country sound. Though often surrounded by different country sounds, Pride is never bested by production, a claim that cannot be said of all 1970s country stars. Pride makes the song his, whether he’s nostalgic, in love, heartbroken, or singing praise, Pride has the ability of all great country performers to make you think these songs were written on the edge of a motel room bed, or on a barroom cocktail napkin. Pride is poised for a crossover comeback along the lines of Johnny Cash’s late American recordings with Rick Rubin, or Loretta Lynn’s Van Lear Rose, produced by Jack White. 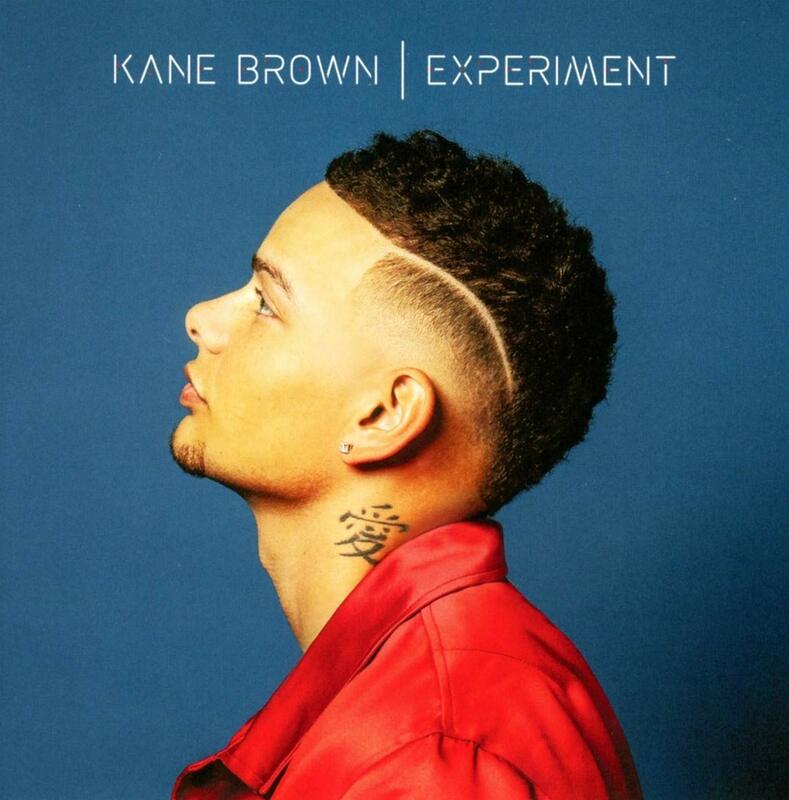 What would serve him best at this stage is to tap into the incredible creativity and force behind gospel music today, and highlight the long-standing connections between country music and gospel. Yet to do this, he would first have to come in from the golf course, and really get to work.